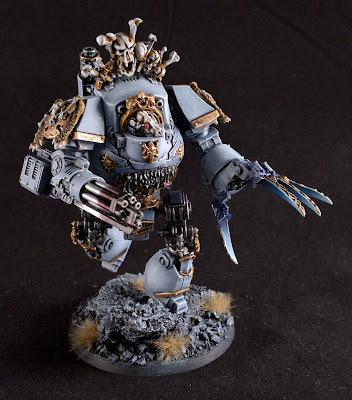 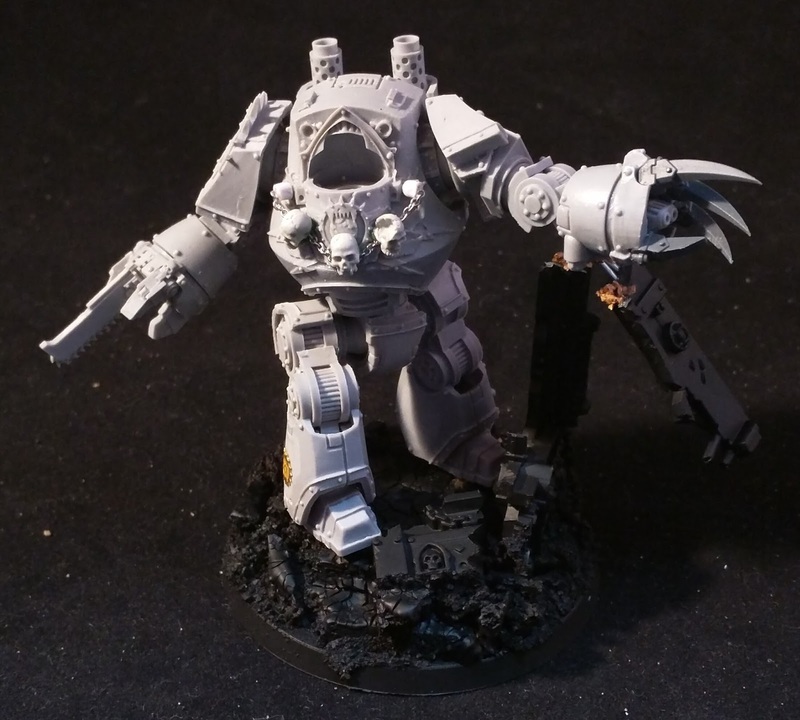 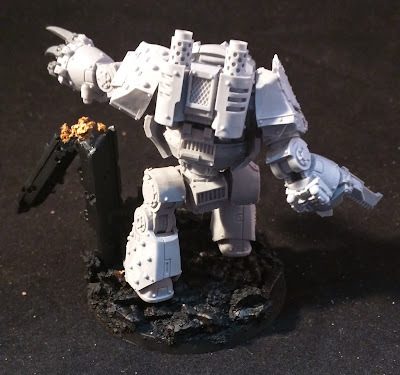 Today I want to bring you up to speed on another World Eaters Contemptor Dreadnought that I have been working on. 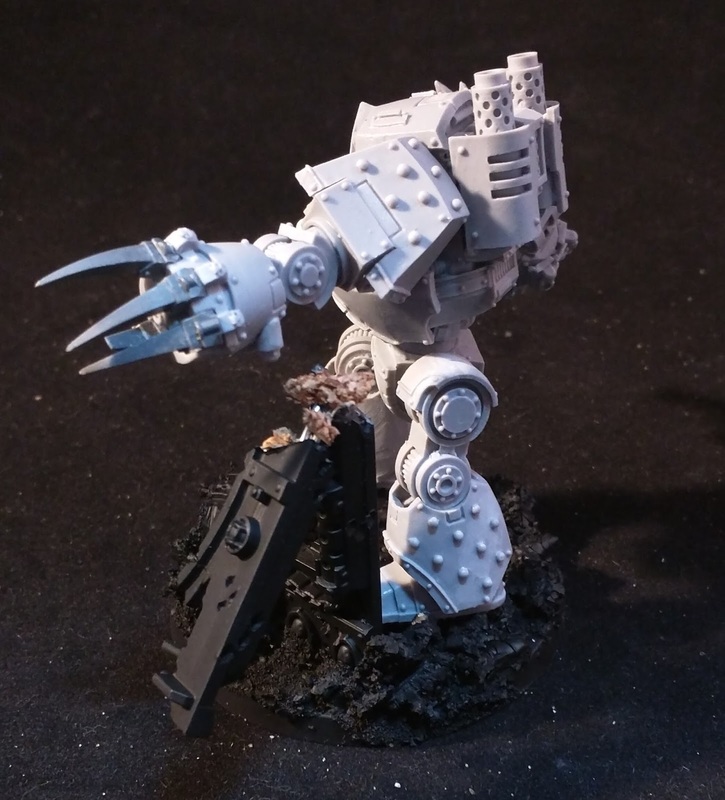 You would have seen a sneak peek of it from my Combat Claw Tutorial. 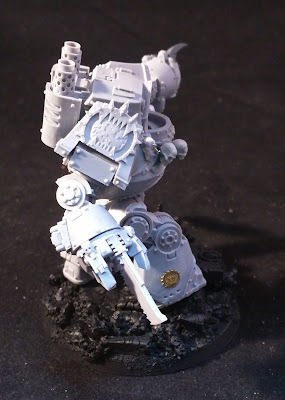 Being a proper Forgeworld Resin miniature, I thought I would make an effort to distinguish this fellow from his kit bashed plastic cousin. 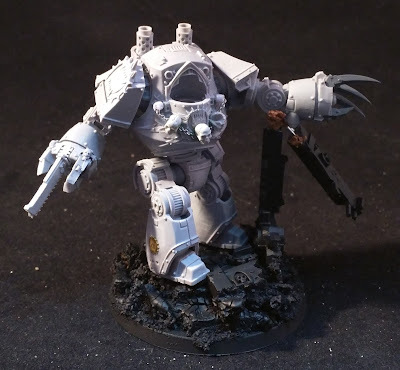 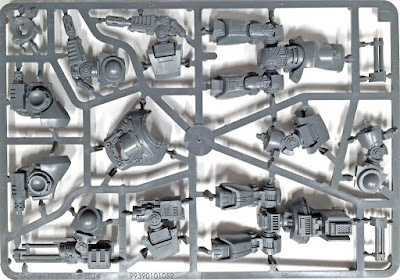 They will form a Contemptor Talon in my World Eaters army, hence the similar load outs. 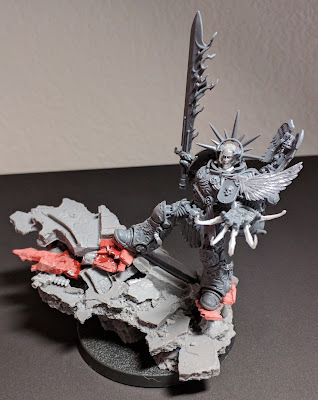 In hindsight, I should have swapped the Claw and Chain-fist around, opposite to the plastic conversion, but as I got caught up in making the tutorial I totally forgot to do this. 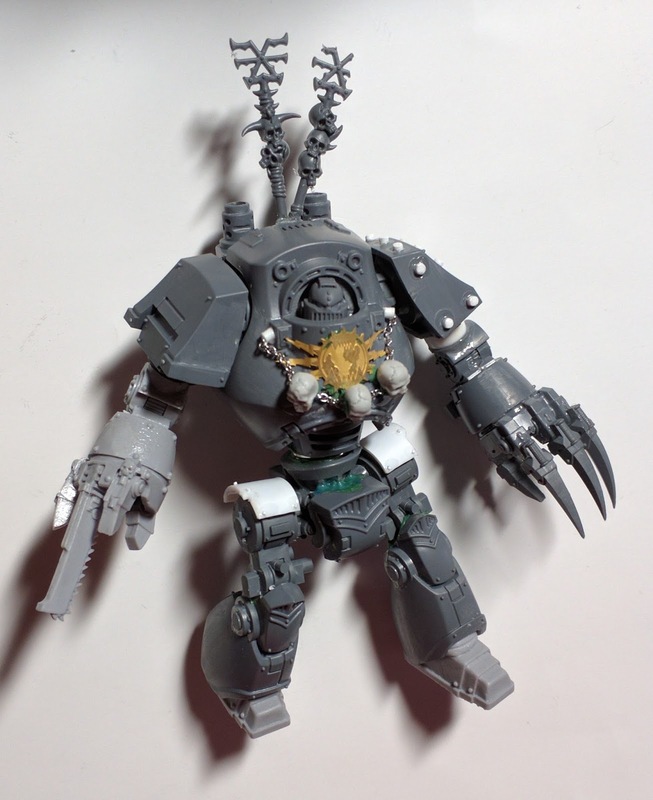 And this is the plastic conversion. 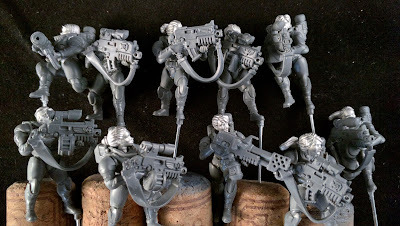 Same but different, hey? So it's off to give this miniature a wash and lay down paint, in the spray booth.